I think I have the funniest husband in the world. His sense of humor is the best. Or at least, it is, in my mind and ears. He loves to throw jokes at me. He enjoys making jokes out of ordinary things. Sometimes I wonder if he’s starting to lose his sanity. He’s crazily funny, if you know what I mean. Yesterday, March 17, was our first wedding anniversary. 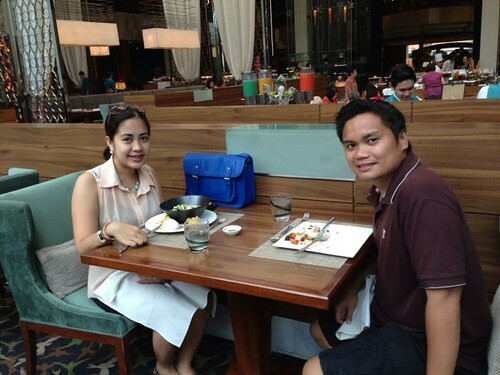 The hubby took me out for a lunch date at Corniche, one of the restaurants inside Diamond Hotel. We had a great time feasting on the wide buffet spread. We’ve dined at Corniche a few times already and every time, the food was good. Nothing spectacular but definitely hotel quality. Diamond Hotel is close to our hearts. This was where we had our wedding preps and it was a big part of our wedding video and photo shoots. 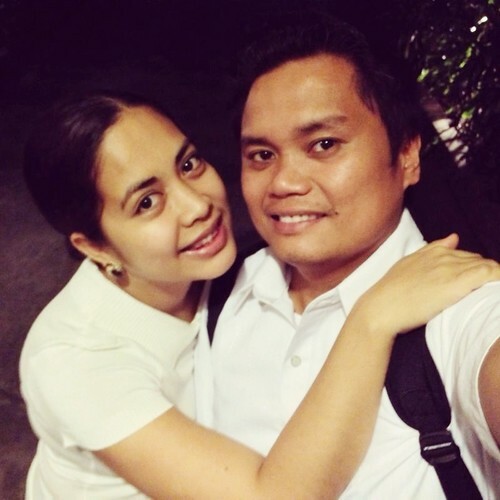 The hubby and I have fond memories of our two-night stay at the hotel (prior and after the wedding) and we like the fact that it’s facing the Manila bay which makes its ambiance truly romantic. It’s our 10th month as husband and wife today. So far, so good. In our fairly short time as a married couple, the hubby and I have been through a lot already. With this, somehow I’m confident that we can overcome any challenge or obstacle that life may throw at us. Two more months and it’s gonna be our first wedding anniversary! We’ve been blessed with a happy marriage, loving family, caring friends, stable jobs, and good health. We really can’t ask for more with the life we have now. We may have failed in our quest to build our own little family last year, but we still have this year and the coming ones to try again. In God’s time, our family dream will come true.